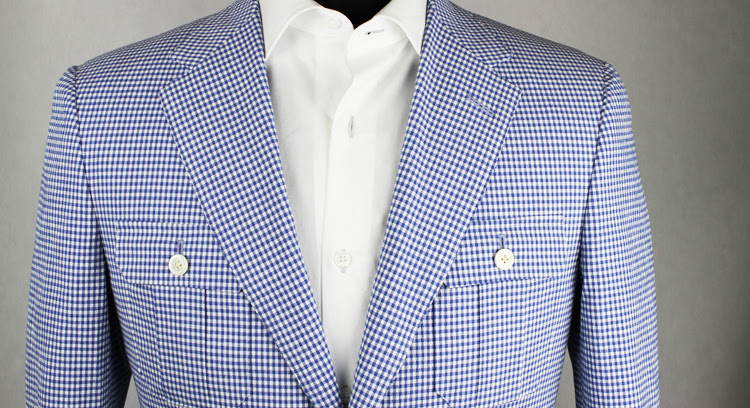 This week’s Get The Look features a light blue and white 100% cotton gingham. This fabric is perfect for summer vacations, weddings, or just being a style boss in the office. Feel free to style however you like! This offer is good for either a jacket/pant or jacket/short combination and only lasts one week so don’t delay. Call 614.365.3000 or click HERE to schedule. Offer valid until 7.23.16. Not combinable with any other offer.